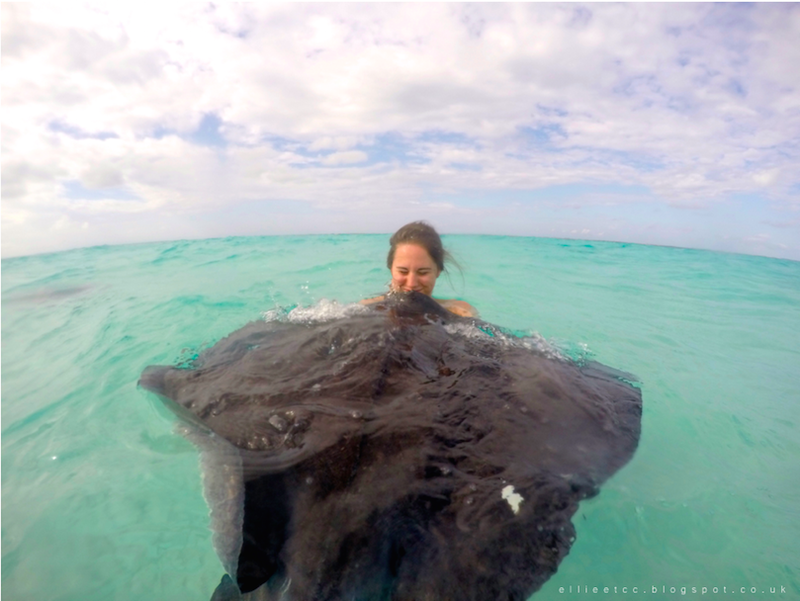 Stingray City: The classic place to go for anyone visiting Grand Cayman. 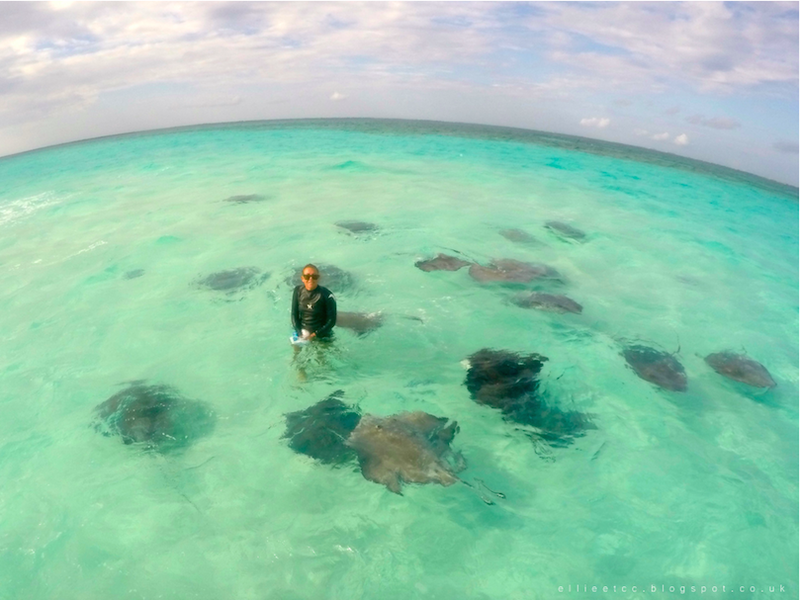 Weird yet wonderful standing in relatively shallow water while massive stingrays glide past you. To be completely honest with you, I was terrified and spent a lot of the time trying not to scream. However, after much coaxing and persuading, I held, kissed (see my strange facial expression below..) and fed one of the most friendly of the stingrays - who's aptly named "Sandy". 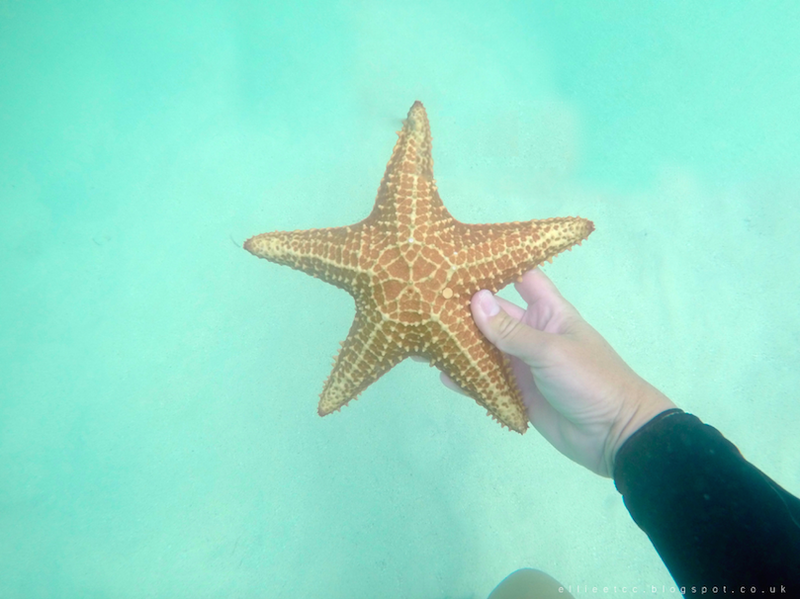 Starfish Point: It's strange to say, but starfish are actually really cute. If you pick them up (making sure they're still under water otherwise they can't breathe!) they're initially rigid and scared. But as they relax and you stroke them a little (again, sounds a a bit strange) they begin to soften, relaxing and curl round your hand, holding on with their little underneath suckers - an oddly comforting sensation. Rum Point: Such a beautiful serene place where you can sit back and relax in a hammock or deck chair, while sipping a cocktail or sampling some authentic (and incredibly tasty) Caribbean food - absolute paradise. They have a pretty good sense of humour there too, check out their "Questions Not To Ask" blackboard! Part two should be up very soon! Didn't want to overwhelm you/your computers with too many photos all at once. Leave a link in the comments below if you've written any travel posts, I love reading about other people's travels - it allows me to indulge my ever-growing wanderlust without spending all my money!